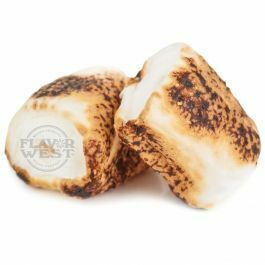 Toasted marshmallow flavor is a complete treat and delightful flavor, which is good enough for the entire family. Take your tastebuds back to the campfire days. Type: Toasted Marshmallow Water soluble Flavoring. Usage Rate: 15-20% Ingredients: Natural and Artificial Flavoring and Propylene Glycol. Flavor suitability: Drinks and beverages, desserts, baked treats and so much more. Specific Gravity: 1.05 No Refund on Flavoring.